The Music industry and piracy go hand in hand. A study says, 95% of all online music is downloaded illegally, causing $12.5 billion of economic losses every year with a loss of $2.7 billion in workers’ earnings. The global music industry is riddled with archaic royalty payment protocol by Performance Rights Organizations or PROs who collect songwriting performance royalties from music users and then pay songwriters and rights holders. After widespread criticism and music streaming giant Spotify’s controversial involvement in the infamous $30 million settlement with a publishing group over unpaid royalties have opened the doors of discussion, demand, and drama across the media and broadcasting landscape. So before taking sides here, one must know how the music industry ecosystem is built and how it functions. The current media value chain is made up of artists, aggregators, platform providers and a collecting body that manages royalty payments. Content aggregators are the ones who help an artist in distributing music globally through digital stores and streaming platforms. They earn revenue by charging upfront fees or charging a percentage of revenue earned from the streaming and downloading of an artist’s music or both. RouteNote, TuneCore are a few industry leaders in the content aggregation arena. These companies allow artists to feature their original work on various music downloading sites and audio streaming platforms such as Spotify, Apple Music, Deezer, Gaana, Saavn etc. The artists don’t have to pay to get enlisted; rather they share a percentage of revenue earned from each individual streaming and downloading. For each recorded music, two types of copyrights are associated with it. One for composition which is the “artistic effort” and the other one is the “sound recording”. The copyright of the composition is owned by one or more composers and each of them is represented by one or more music publisher. For Example, the famous Taylor Swift number “Shake It Off” has three composers and two publishers. If multiple composers or multiple publishers are involved, royalty is shared among them as per the agreed percentage share. The copyright in sound recording is owned by either the recording artist or record label like the Taylor Swift song is on Republic Records. Blockchain technology holds the potential to cut out middlemen in the media value chain. The persistent trouble of managing the identities of the original artists and the right owners is understandable since there is no central database to keep track of the information about the music. The power of blockchain, however, lies here. The blockchain is devoid of any central database and every information is shared across peer network. By storing data across its network, the blockchain eliminates the risks that come with data being held centrally. So, any form of manipulation is simply unattainable. Moreover, the data blocks in a blockchain are linked and secured with a hash, a special cryptography that insulates the setup from any alteration. 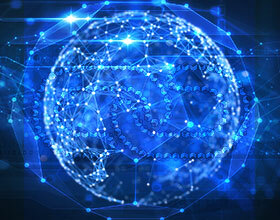 Distributed ledger, a technology deployed by Blockchain, is a database of transaction that is shared and synchronized across multiple computers and locations – without centralized control. Each party owns an identical copy of the record, which is automatically updated as soon as any additions are made. Considering the low transaction costs of digital currencies, micropayments will soon be a reality and blockchain will enable “micro metering” of streaming content wherein users will be charged as per millisecond consumption of a video content. Through blockchain payment of royalties to artists and copyright owners will be transparent and hassle-free. In blockchain, it is possible to store information about the content aggregators and information on how they all to be compensated in the form of a smart contract. By using an embedded blockchain-based mechanism, medium such as radio stations, television, streaming services can be tracked and copyright owners can be compensated as per the smart contract. The blockchain is not new in the music industry. Imogen Heap, a British artist released her song using blockchain in the year 2015. Sharing her experience Heap told about the full control of the artists on their music and where they could be used. Thriving on the huge potential of the blockchain, a number of startups are investing on the technology and especially in the media and broadcasting arena. 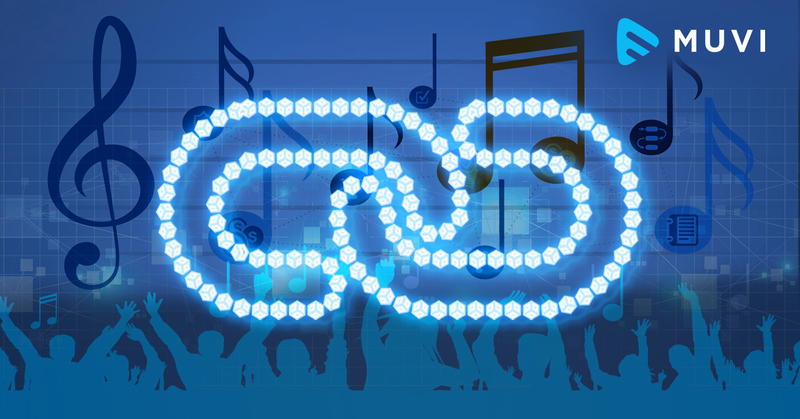 Coupled with artificial intelligence and the budding concept of individual content licensing, blockchain is set to empower artists, enhance artistic liberty, and eradicate suspicious agents in the music industry ecosystem- something artists always dreamt of. Grab our free whitepaper ‘Reinventing OTT With Blockchain’, to understand the impact of emerging technologies like blockchain on media and entertainment industry.